This extensive survey of migration in the modern world begins in the sixteenth century with the establishment of European colonies overseas, and covers the history of migration to the late twentieth century, when global communications and transport systems stimulated immense and complex flows of labour migrants and skilled professionals. In ninety-five contributions, leading scholars from twenty-seven different countries consider a wide variety of issues including migration patterns, the flights of refugees and illegal migration. Each entry is a substantive essay, supported by up-to-date bibliographies, tables, plates, maps and figures. 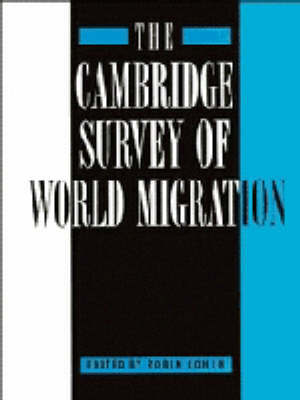 As the most wide-ranging coverage of migration in a single volume, The Cambridge Survey of World Migration will be an indispensable reference tool for scholars and students in the field. What Have The Immigrants Ever Done For Us?